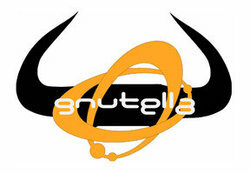 Gtk-gnutella is the graphical Unix Gnutella client, efficient, reliable and fast, written in C. It has been optimized for speed and scalability, with low-memory consumption. It is meant to be left running 24×7, using little CPU and only the configured bandwidth. Gtk-gnutella 1.0.0 is a major release correcting a few bugs and adding small but interesting features such as the ability to limit dropping of received UDP messages, making the DHT keys and values persistent across sessions, SDBM file auto-compaction at startup, and last but not least, rarest-chunk downloading to optimize download efficiency when facing partial sources. Let users define a maximum lease time for UPnP and NAT-PMP mappings. Made DHT keys and values persistent across sessions. When there are partial sources for a file, download the rarest chunks first. [GTK1] Optimize massive updating of the download source list. [GTK] Dynamically update the list of available chunks in the file (blue line). Files used to persist information across sessions are now auto-compacted. The UPnP layer can now monitor more types of Internet Gateway Devices. After unclean shutdown, rename existing core file in crash directory. Detect servers that choke when receiving pipelined HTTP requests. Added the Mersenne Twister Pseudo-Random Number Generator. Remember when user requests an auto-restart, to keep the same session going. Increased maximum download buffer size to 1 MiB and default to 128 KiB. The Sourceforge provides the Deb packages for gtk-gnutella, but I can’t install it on my machine due to dependency problem. Fortunately there’s a PPA repository makes it easy to install it in Ubuntu and its derivatives.